Between party-season, present buying, tense family get-togethers and the pressure of cooking up a feast, Christmas can be an exhausting time of year. So why not use the window between the 25 December and 1 January to escape for a bit of pampering at one of London's top hotels? Insider's tip: this lull in the festive period is the perfect time to find and book New Year's Eve hotel packages. Whether you're a local looking for a staycation or an out-of-towner coming to visit the city, these are the sleekest, coolest, newest hotels in London – all fit to make sure you ring in the new year in style. What do you get if you cross a Grade II-listed former Baptist church with the work of French architect and designer Jaques Garcia (you know, the man behind The NoMad Hotel in New York)? L’oscar Holborn, that’s what. Thanks to L'oscar International Hotels – and a refurbishment budget of no less than £24m – the space is now a plush, finery-adorned hotel practically dripping in over-the-top (yet gorgeous all the same) interiors. The 39-bedroom hotel, which opened in June 2018, also has Michelin-starred chef Tony Fleming in the kitchen, so be sure to book a table on at least one night of your stay. Soho House has been the go-to members’ club for the arts and media crowd since it opened its doors in the mid 1990s. Today, despite having 23 properties in total – eight of which are in London alone – there’s still a hefty waiting list of hopefuls looking to acquire membership. But perhaps not for much longer, because the group is opening yet another property to appease us. Redchurch Townhouse in Shoreditch is designed in a similar style to the group’s Dean Street Townhouse and Kettner's Townhouse. Its 37 bedrooms range in style as well as size – from 1950s to 70s – but all guests can expect retro chandeliers and armchairs. There’s also Cecconi’s restaurant to get excited about, serving the brand’s much-loved signature dishes (veal milanese? Yes please), while diners will be surrounded by the work of east London artists. 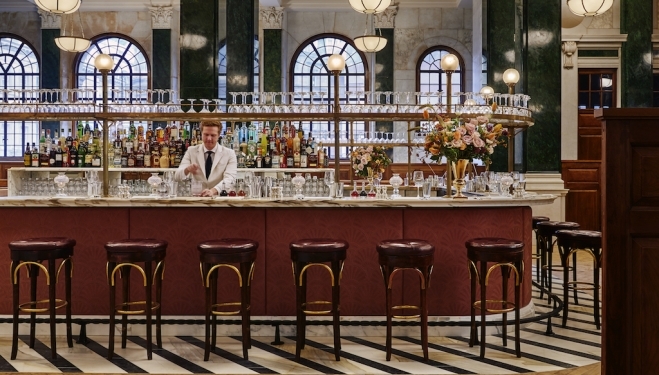 Those who book a stay at the revitalised 120 year-old hotel (formerly The Russell) – which has recently undergone a £85 million refurb – should head to Fitz's cocktail bar to celebrate New Year’s Eve. Its scene-stealing massive glitter ball (reputedly the largest in the capital) plus velvet chairs make it a glamorous, cosy and comfortable setting to ring in the new year. But The Principal’s resident seafood restaurant, Neptune, is the main attraction here; despite only opening earlier this year, it’s already being hailed the capital's coolest fish restaurant. The Mandrake hotel, which opened its doors in 2017, is an independent property which professes to be hipper than hip; it even had a resident tattoo artist. Yes, despite the name, The Mandrake promises to do more than just give you a bewitchingly good night's sleep. Book a stay there to see what this mysterious hotel has to offer. Have a country break without actually having to go too far into the country – just travel to one end of the Metropolitan line. If you fancy a Boxing Day walk, you're right in the posh provinces and the charming Chilterns are on your doorstep. Or you can visit Hughenden Manor, Disraeli's country home in nearby High Wickham, or ramble around Cookham, home of British artist Stanley Spencer. The Crown Inn is a Mr and Mrs Smith property, which means, for those not au fait with hotelspeak, that it's perfectly luxurious. The Mondrian Hotel serves some of the best cocktails you'll find in all of London (and further afield, too). The prizewinning Dandelyan Bar – headed up by Ryan Chetiyawardana (aka Mr Lyan) – was designed by man-of-the-moment Tom Dixon. What's more, with news about Dandelyan bar closing in the near future (don't worry, Mr Lyan plans to keep hold of the space and transform it into something new), this could be the last New Year's Eve you can spend sipping Mr Lyan's exciting concoctions with your bed just a stumble up the stairs. With the hotel perched on the South Bank, you'll have a second-to-none view of midnight fireworks display over the river, too. Be sure to ask for a room with a view. Newly opened Rockwell East in Whitechapel is London’s first ‘design-led aparthotel’. Designed by Waldo Works – the interiors firm behind The Laslett in Notting Hill – with its bold blues, loud yellows, and all-round bright and breezy feel, a stay here on New Year’s Eve will have any lingering cobwebs of 2018 blown away in no time. Prices are reasonable too, with double rooms starting at £150 a night. Terence Conran designed the rooms at the Boundary and there's an orangery and a garden on the roof. The terrace looks out over east London and from here you can see Canary Wharf and, towards London, perhaps you'll see fireworks dappling the night sky. Don't let the size of the building fool you, this is a little hotel, with only 17 guest bedrooms and suites. Each room's design is based on the style of a different modern architecture, from Bauhaus to Le Corbusier. You'll find a yoga mat in the cupboard and breakfast delights downstairs in the Albion Cafe. If you aren't prepared to see London's fireworks this year, this could be a far classier alternative. The Trafalgar St James' rooftop bar has amazing views from above Trafalgar square over central London and a lovely Mediterranean restaurant. The hotel reopened in October 2017, following a name change (from The Trafalgar) and a facelift, and it's now better than ever. You'll need to buy tickets to the rooftop event, which isn't included in the hotel stay. A Soho House property in the heart of the city, The Ned was 2017's hotel of the moment. While its buzz has died down somewhat, its offering is still excellent – it's just that little bit easier to get your foot in the door now. Set within an elegantly restored old bank hall, The Ned has nine restaurants and over 100 spa treatments. If this isn't enough to fill up the dead days between Christmas and New Year, there's also a secret vault bar somewhere downstairs – this member's only club is lined with over 3,000 safety deposit boxes – and no one will find you there! 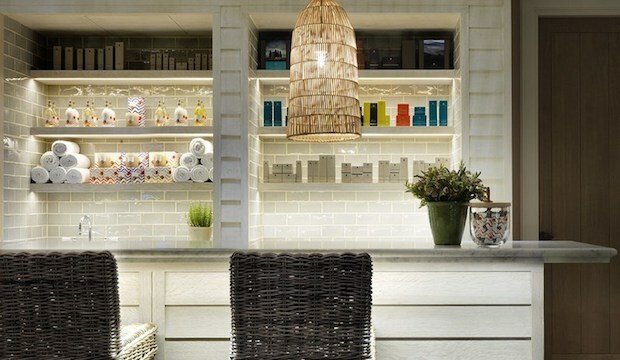 At Ham Yard Hotel you'll find more home comforts than any mansion going. There's the Croc Bowling Alley, which has Howard Hodgkin's paintings on it walls, and there's also a full movie theatre on site. If that seems exhausting to your festively-frazzled soul, then there's always its brilliant wellness centre. The Soholistic Spa is filled with natural materials and luxury treatments. You might even want to muster up some strength to train in its hypoxic studio, where you can try altitude training with a complimentary 30 minute session. Ham Yard Hotel is located centrally, just on the edge of Soho, so if you stay over New Year's Eve, too, you're bound to find a party.